A Truly Innovative Promotional Item Idea! Go fly a kite! This is one of the coolest new products in 2013, custom logo promo kites. Who doesn't enjoy flying a kite once in awhile? I sure do! This is a cool, fun, and innovative trade show or corporate gift. 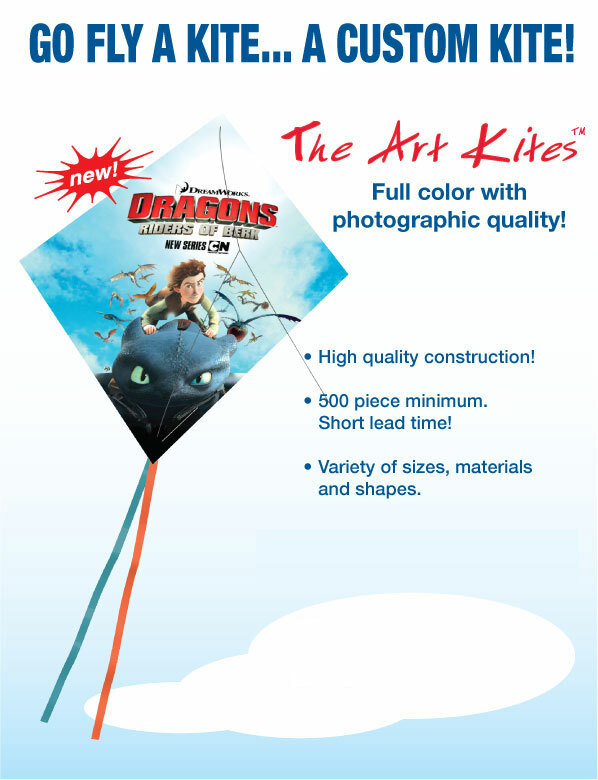 These kites can be used in promotion of just about any project in which you can make a "taking flight" reference. Call 401-451-1874!